Sturdy And Durable: Made of premium solid MDF, coming at lifelong use. 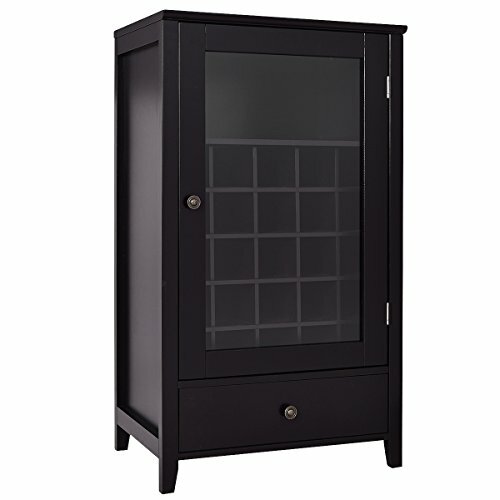 Enough Storage Space: Made with compactness and elegance efficiency as the goal, this wine cabinet is high capacity but occupies little space. Space Saving: This wine cabinet features a wine rack(25 bottles), one shelf and one drawer, providing adequate storage space. Easy to clean,Perfect for kitchen, bar, dining room or office use,Easy Assemble Is Required.